When Studio 397 released a teaser shot last week of an unnamed circuit, it had some of us scratching our heads for a few hours. The road signs looked British but the trees didn’t really. Many locations were suggested to us but then we found out it was the Hong Kong ePrix circuit. 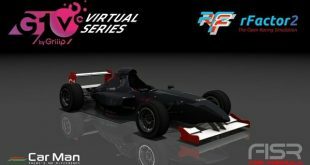 This quickly followed by the announcement Formula E was coming to rFactor 2. 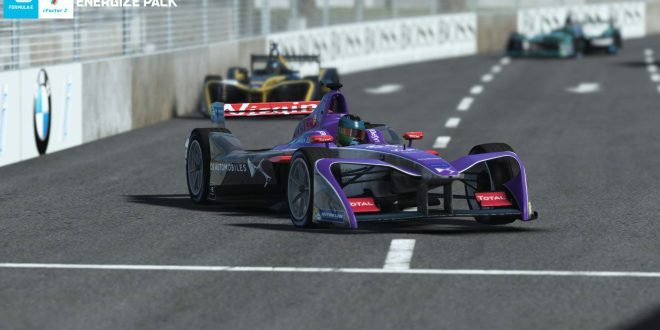 Formula E and Sim Racing was happening finally! Personally, I was super happy. A few years a go I was lucky enough to attend the UK round of the Formula E championship at Battersey Park, London. While there, in the event village, they had a whole area set up with rFactor 1 and a Formula E mod with the Battersey Park circuit where you could race up to seven (I think) other people. It was great and well set up for what it was. The problem is, ever since I have been bleating on about a proper Formula E mod in rFactor 2. The Hong Kong ePrix circuit is a 1.1 mile street circuit. I love a street circuit. I remember particularly when Long Beach was released on iRacing. I wasn’t sure it would be any good. It almost instantly became my number one circuit. I hope this addition will make me feel the same way. 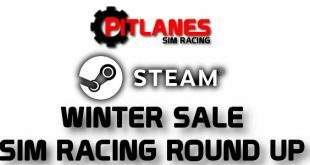 This circuit could be fun in a very wide variety of vehicles and I can’t wait! Formula E is met with a Marmite response. People seem to either love or hate it. Whichever side of the fence you fall on, it’s the future whether you like it or not. Having seen them in person I was super impressed. The grip or lack thereof, the looks and the racing they provide is awesome. The sound seems to annoy people but I found them to sound like a giant scalextric set. Who didn’t love that when they were a kid? 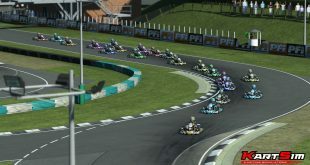 The release will have all the cars and drivers from this season but no more circuits have been confirmed yet. What do you guys think to this release? Are we excited? Let us know in the comments!